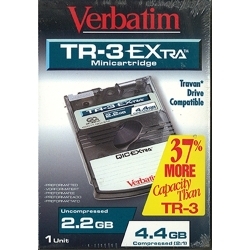 Verbatim TR-3 Extra 2.2GB (91200) : Disk-O-Tape, Inc. The Verbatim TR-3-Extra minicartridge holds up to 4 times more storage capacity than conventional minicartridges . 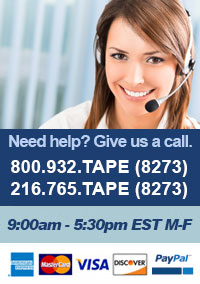 Compatible with QIC, QIC-Wide, and Travan style drives . Up to 37% more capacity than most Travan style cartridges.